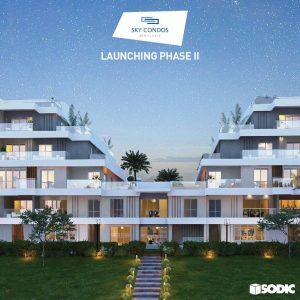 SODIC is now launching Sky Condos Phase II, the newest phase of Villette in New Cairo. 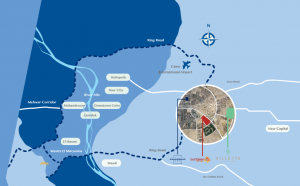 Villette is in the heart of New Cairo, to the east of downtown Cairo. Strategically 5 minutes off Road 90, it is close enough to the hustle and bustle of Eastown and other New Cairo attractions however, far enough from them to give the relaxation and rejuvenation of being in a serene suburb. Sky Condos by Villette introduces phase 2, with unique cascading architecture designs that have never been seen before in Egypt. The building designs are indicative of a strong persona, one that promotes breathtaking views of the sky above, with units that contain their own private sky roof. Offering a unique variety of properties ranging from premium apartments (areas starting from 130 m2) to duplexes and townhouses with payment terms of up to 7 years. Sky Condos also overlooks Villette’s vast entertainment park, The Hive, the largest park in Villette. Master-planned with the aim to offer residents the benefits of a suburban development – space, outdoor activities and relative tranquility – while at the same time offering a very active and social town center. The idea of creating distinctive districts with inter-connected neighborhoods, linked together with open space and circulation networks, that allow people to easily move about and interact, shall tie this community together in unmatched outdoor experience. Property Types: Townhouses , Apartments and Duplexes.